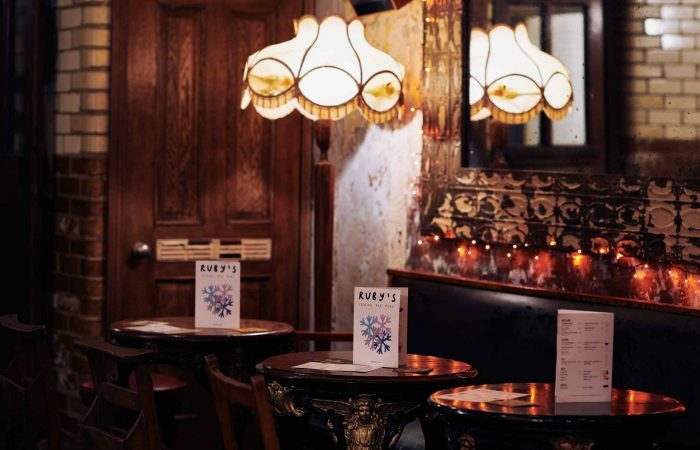 Our intimate and charming cocktail bar, available for smaller bookings and private hire, opened in 2012 taking on the name of the former Chinese takeaway kitchen it replaced – Ruby House 3. 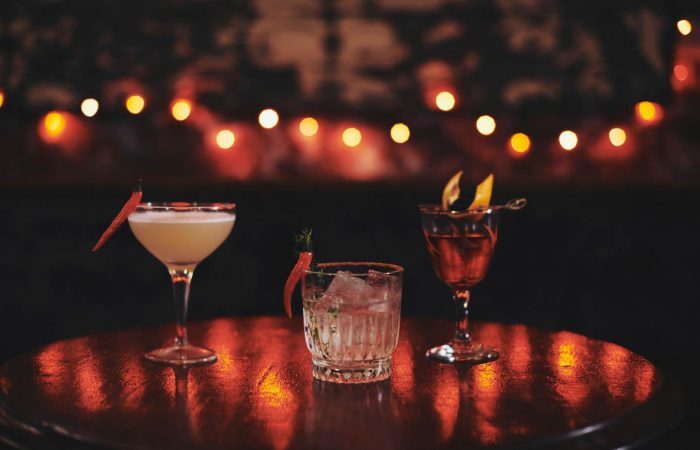 Setting its stall out as Dalstons first cocktail bar with a seasonally changing menu, friendly table service and disco tunes the bar quickly gained a reputation with Vogue naming it their “favourite basement hideaway” in 2014. 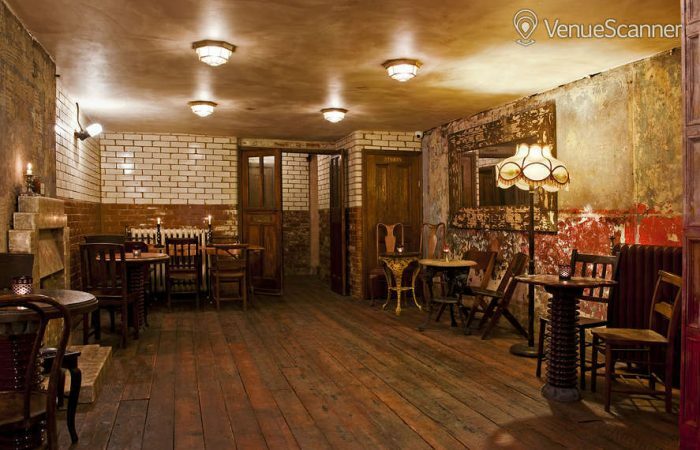 Set to a 1920s theme with distressed walls, glazed brick and original wooden floors the bar is perfect for dates and smaller bookings. 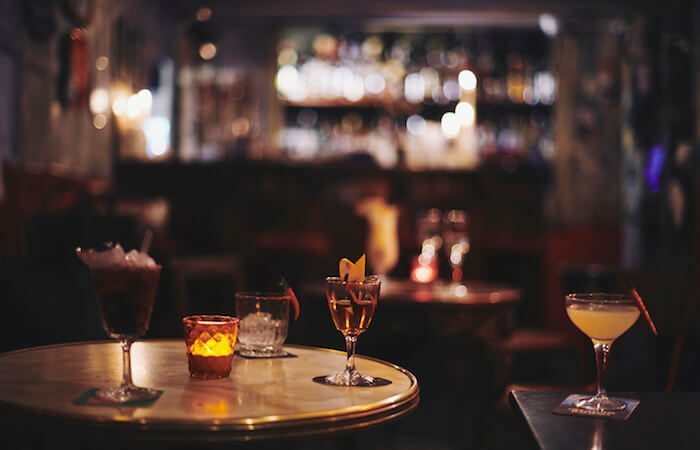 Due to its smallish size we can only take maximum reservations of up to 10 people (anything larger than this our Lounge bar is able to cater for). 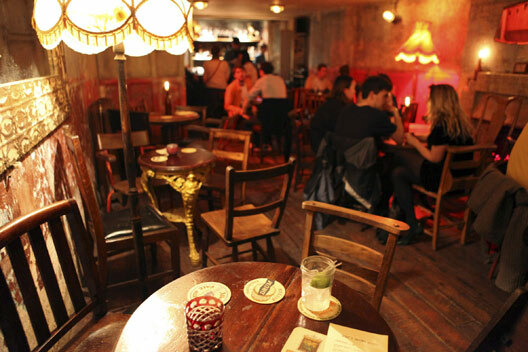 Opening hours are Wednesday to Saturday from 6.30pm – 2am; use the form above to make a reservation.